The 3rd grade math games on this webpage focus on several important topics such as place value, addition and subtraction of whole numbers and decimals, multiplication and division of whole numbers, concepts of length, perimeter, area, and time, characteristics of geometric figures, as well as collecting, organizing, displaying, and interpreting data. Learning math has never been so much fun! Are you a math magician? Make 20 bunnies disappear by solving addition, subtraction, and multiplication problems very quickly. Be a part of the excitement of playing car racing with this great Math Racing Game Addition with Regrouping. Here you will add numbers correctly to continue in the race to the finish line. Work quickly so you can cross the finish line first. This is a fun and interactive Tic Tac Toe game about classifying whole numbers as even or odd. Round numbers correctly in this fun online math pirates game to search for the treasure chest. Play this spooky Halloween math game and practice your math measurement skills to destroy a lot of monsters. For each correct answer, you will enter a bonus round where you can earn points by smashing monsters. The math problems are about measuring time, volume, and mass. Enjoy car racing fun with this great Math Racing Game Number Facts. You must solve problems of the four operations to continue in the race to the finish line. Work quickly so you can cross the finish line first. The fun, the excitement, the roar of the engines are all here in this Math Racing Game Multiply within 100. Multiply numbers quickly and accurately in order to get to the checkered flag. 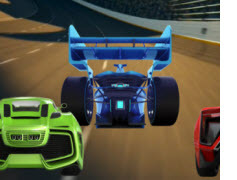 Hear the roar of the engines, see the hairpin turns as they quickly approach in this Math Racing Game Divide within 100. You must divide numbers quickly to continue in the race to the finish line or your "racecar" could spin-out and your race is done. Have fun practicing your multiplication skills by playing this exciting Baseball Math Multiplication Facts up to 12 Game. 3rd grade students will have fun identifying important math terms when playing this interactive vocabulary game. For each definition, the students will have only 60 seconds to identify the correct word. Soar into great math skills by playing this 3rd Grade Rounding Halloween Math Game and get loads of practice rounding numbers to the nearest ten and hundred. Play this fun and interactive game and make 20 bunnies disappear by quickly matching different division problems with the correct answer. Make learning and improving your multiplication skills by playing this exciting Baseball Math Division up to 100 Game. Match the rounding problems with the correct solutions on these little bunnies in this fun Math Magician Rounding Game. In this cute pirate game kids can find the treasure chest by making no mistakes when multiplying numbers ending in zeroes. Match the multiplication problems with the correct solutions on these little bunnies in this fun Math Magician Multiplication Game. Return from the 3rd Grade Math Games page to the Elementary Math Games page or to the Math Play homepage.